Big, rich, almost velvet in texture, this is a powerful wine. It has spice, black berry fruits, layers of wood and black plum skins. Powerful wine for long-term aging and medium-term accessibility. 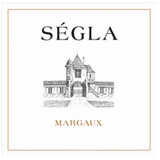 A touch soft, but persistent, with pretty floral, mulled plum and tobacco notes that glide over light, rounded tannins. The pure finish lets the fruit hang elegantly. This wins on balance rather than depth. Drink now through 2014. 10,500 cases made.